Never posted before! 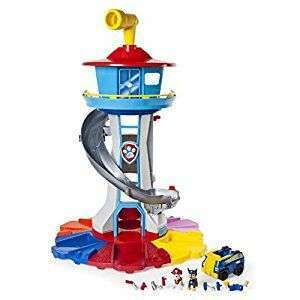 Tesco in store only are selling paw patrol lookout my size tower for £75.00. Picked mine up at Failsworth Manchester. Certainly the cheapest price this side of Black Friday, anywhere at the mo. Thanks for your first post! At mid-day today, stopped and looked at these in West Brom - price on the crate was £88. So may not be national. Deal posting newbie! This is nmec21 first deal post. Help out by leaving a posting tip or just to show your appreciation for their contribution.